KickassTorrents has gone an extra mile regarding the security of users. It is now the first public torrent engine that has adopted two-factor authentication for logging in. It is indeed a very good feature to offer extra security and privacy for users. Usually public torrent sites don’t improve their security functions too much, but this is not the case with KAT. Maybe this is one of the reasons this torrent engine has become the most used one among other torrent trackers available for everyone. Since now millions of people visiting KickassTorrents can make the most out of its two-factor login. All the big players online offer similar features: Dropbox, Facebook, Google, and now KAT has also joined them. The team informs it will make much more difficult to steal one’s private data from now on. 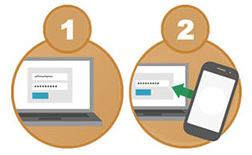 Users can activate the two-factor authentication by going to their profile settings. Anyone can choose a third party application to secure the personal login. In case the password of an account is lost or stolen, no one besides the account owner can log in. It’s better to be safe than sorry when it comes to your identity and information. There is one notification to users who are going to enable the extra layer of security. Be sure not to lose access to the login app, otherwise you won’t be able to access the account at all. Overall, this new security feature is optional and anyone can choose whether to use it or not.